This sensor is the only temperature sensor that TE Technology sells which is moisture resistant as shipped. While not rated for immersion in water it is recommended for cold plates, liquid coolers, and other applications where surface condensation may occur on the sensor head. This sensor has a rugged 6.35 mm square, 25.4 mm long square aluminum head (0.25 x 1.0 inches). 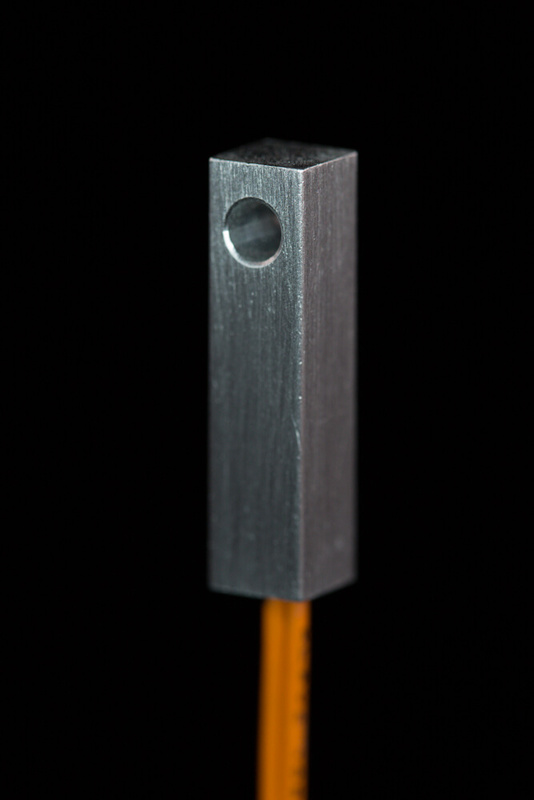 A 3.6 mm (0.142”) through hole is drilled near the end for attaching the sensor via a screw. The large contact surface allows for good thermal contact to the device being measured, so it is ideal for measuring the temperatures of cold plates and liquid exchanger plates. The MP-3193 may also be used to measure air temperatures whenever a rugged sensor is desirable. The larger thermal mass may not offer the fastest time response when sensing air temperatures, but for large, slow reacting enclosures the time response of the sensor can still be much faster than that of the entire system. The resistance is 15K ohms at @ 25 °C (TS-67/ 15K curve). Operating temperature range is from -20 °C to + 100 °C, and the tolerance is +/- 1.0 °C within the 0-70 °C measurement range. 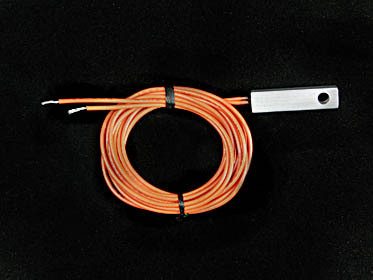 This thermistor can be used on all of TE Technology’s temperature controllers. However, the wire ends are not terminated so “fast-on” spade connectors must be added for use with the TC-24-10.